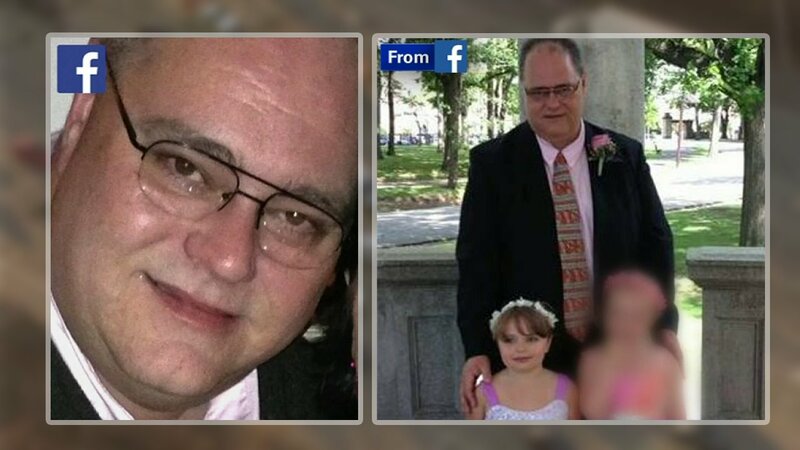 Toni Yates reports a community is mourning a teacher and his daughter who were killed in a crash on the New Jersey Turnpike. 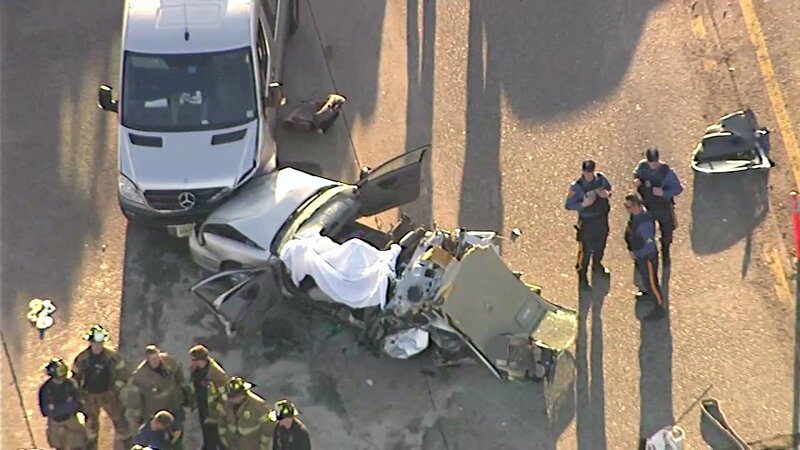 JERSEY CITY, New Jersey (WABC) -- Police are investigating the double fatal crash on the New Jersey Turnpike that took the lives of a Jersey City teacher and his 5-year-old daughter Monday afternoon, and charges have been filed in the case. 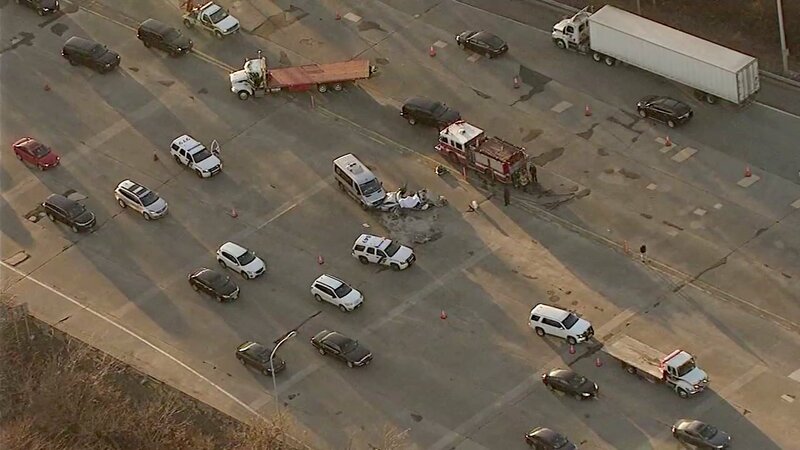 The three-car crash left two others injured, but 51-year-old Timothy O'Donnell and 5-year-old Bridget O'Donnell, of Bayonne, were killed. Troopers responded to the westbound lanes of New Jersey Turnpike at Interchange 14C in Jersey City just after 3:15 p.m.
Based on the preliminary investigation, detectives determined that Timothy O'Donnell, who was driving a 2001 Chevrolet Malibu, was slowing with traffic in lane 10 at the tolls when 36-year-old Scott Hahn, of Hamilton, rear-ended O'Donnell with his 1998 Mercedes-Benz. Timothy O'Donnell was pronounced dead at the scene at 3:41 p.m. Bridget O'Donnell was transported to Jersey City Medical Center, where she was pronounced dead at 3:43 p.m.
Hahn was transported to Jersey City Medical Center with moderate injuries and was listed in stable condition, while Morales was transported to Bayonne Medical Center, where he was treated for minor injuries and released. 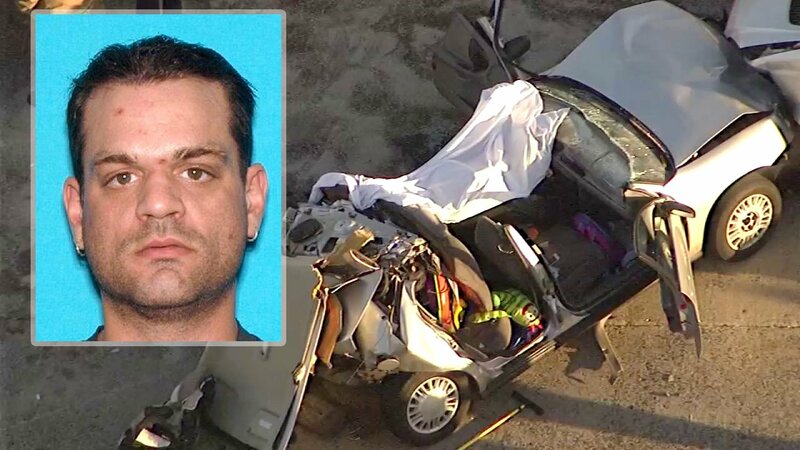 Hahn has since been charged with two counts of manslaughter and two counts of vehicular homicide. On Monday, February 22, 2016, Tim O'Donnell, a science teacher at County Prep High School, passed away following a two car collision in the westbound lane of the New Jersey Turnpike Extension, west of the 14C toll plaza. His daughter Bridget, 5, also died in the tragic crash. Tim O'Donnell taught Chemistry, Physics and other science classes to sophomores, juniors and seniors at County Prep, which is a part of the Hudson County Schools of Technology (HCST) district. He had worked at the school since 1998 and coached its Softball program for several years. He also coached softball at Hudson Catholic High School. "Mr. O'Donnell was a tremendous asset for our students, his fellow teachers and staff of County Prep," said HCST Superintendent Frank Gargiulo. "We are forever grateful for his contributions to the school district, and he will always be remembered in our hearts and minds." County Prep and HCST have made grief counselors available to Mr. O'Donnell's students and other members of the school community who need assistance. "Our entire community is devastated at the loss of Tim O'Donnell," said County Prep Principal Barbara Mendolla. "Tim was a big guy with a big heart. His students, colleagues and everyone who knew him truly loved him and he will be incredibly missed by all of us." O'Donnell was a lifelong Bayonne resident and a graduate of St. Peter's Prep and Rutgers University. He held a Master's Degree in Educational Technology from New Jersey City University. "The HCST family mourns today with a heavy heart," said HCST Board of Education President Craig Guy. "Mr. O'Donnell was truly an irreplaceable figure, his presence was felt by all those that crossed paths with him and especially at County Prep. He will be greatly missed." O'Donnell is survived by his wife Pam and daughter Alessandra, 6. "On behalf of the people of Hudson County, I want express our deepest sorrow at the loss of Tim O'Donnell and his dear little daughter Bridget," said County Executive Tom DeGise. "Our thoughts and prayers are with O'Donnell family, as they struggle to bear this unthinkable loss."